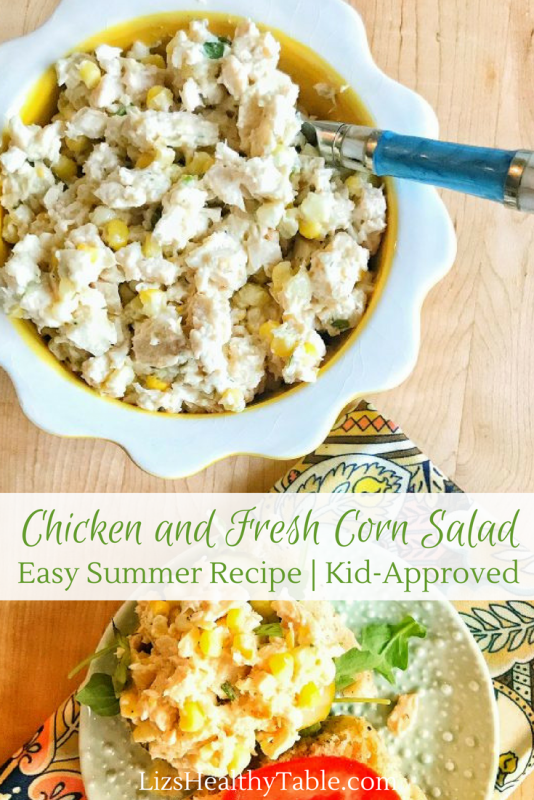 Chicken salad and summer go hand in hand, and when you add sweet fresh corn kernels to the mix, the classic chicken salad screams summer even more. 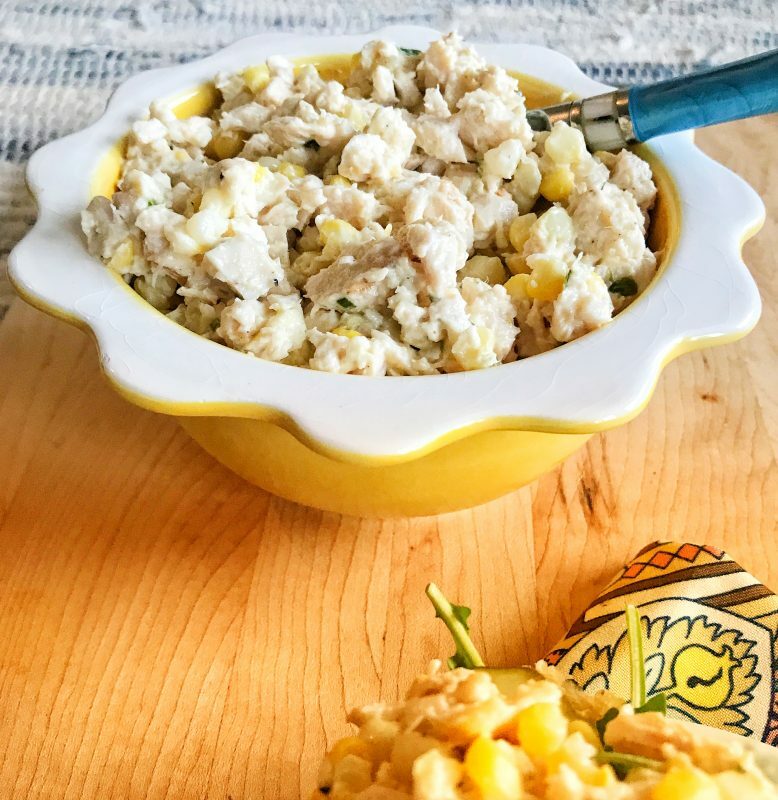 This recipe is made simply with boneless, skinless chicken breast (grilled or baked), fresh corn kernels, fresh tarragon, Dijon mustard, and light mayonnaise. Easy, pleasing, and family friendly. I’ve been making this recipe pretty much every week since it’s “invention.” I even demonstrated how to make it at Nantucket Culinary where I gave a few cooking classes to kids and their adult companions this summer. For that version, I had the kids toss in some fresh seasonal peas. This recipe is so simple, kids can easily help you make it. Looking for tips for getting your kids into the kitchen more often? Tune in to my podcast episode on Kids in the Kitchen with Mrs. Broccoli and Daisy (my sister-in-law and niece). 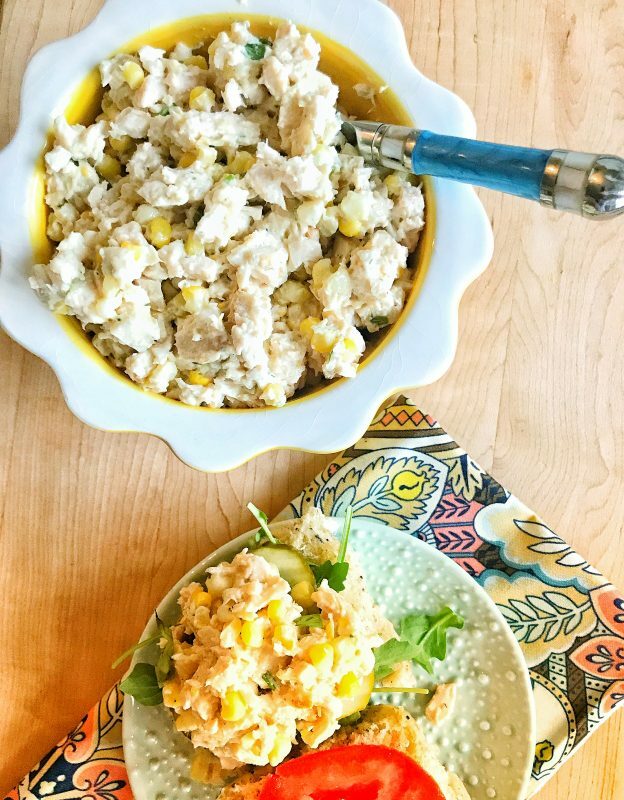 Other than the usual way to serve up chicken salad — in a sandwich — you can add it to a green salad or scoop it over a halved avocado. This recipe is your foundation. If you want to take it to another level, swap out the tarragon with fresh basil or mint; toss in fresh peas; or shred up a carrot and add that too! 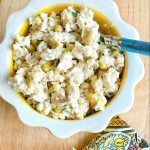 Place the chicken, corn, mayonnaise, mustard, tarragon, and salt and pepper to taste in a large bowl. Stir together until everything is well combined. Serve as a sandwich, on top of a crunchy salad, or scoop over halved and pitted avocados. 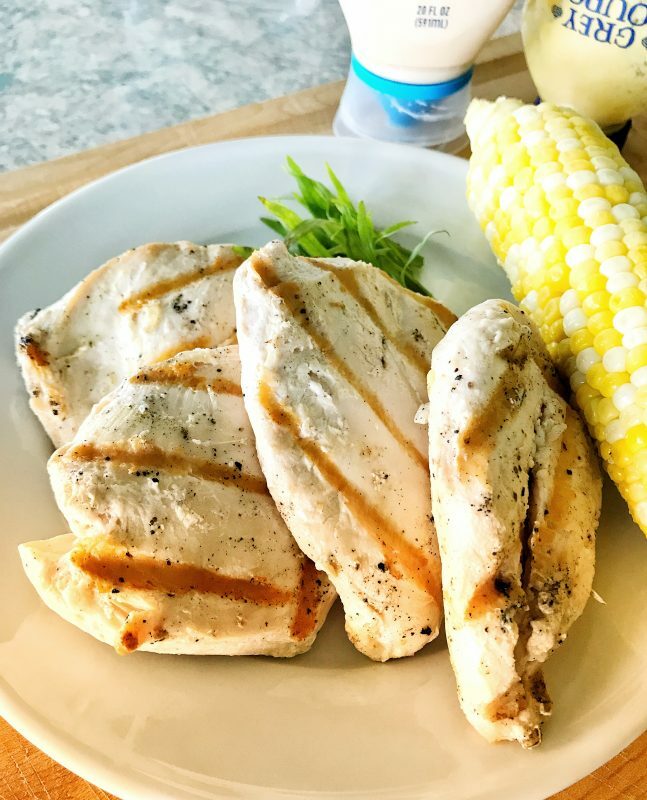 What’s your favorite summer recipe? What screams summer to you?